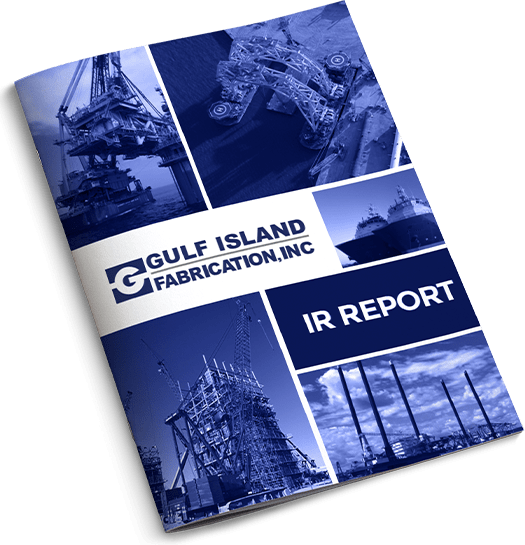 Gulf Island is a leading fabricator of complex steel structures and marine vessels used in energy extraction, production, petrochemical, industrial, power generation, renewable energy and marine transportation. The Company also provides related installation, hookup, commissioning, repair and maintenance services with specialized crews and integrated project management capabilities. Our corporate headquarters is in Houston, Texas.